I'm a bit of a nerd when it comes to books. 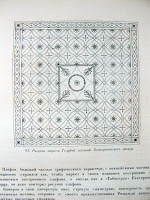 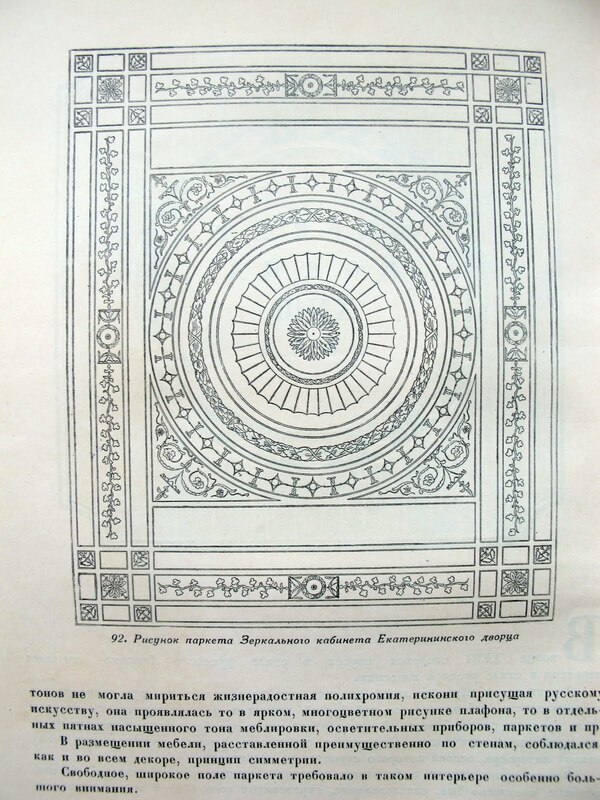 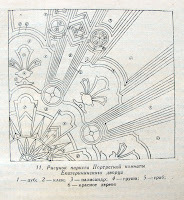 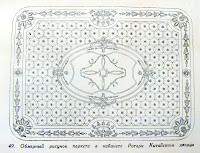 This one is from 1953 and is written in Russian (translations welcome), so I don't understand a word. 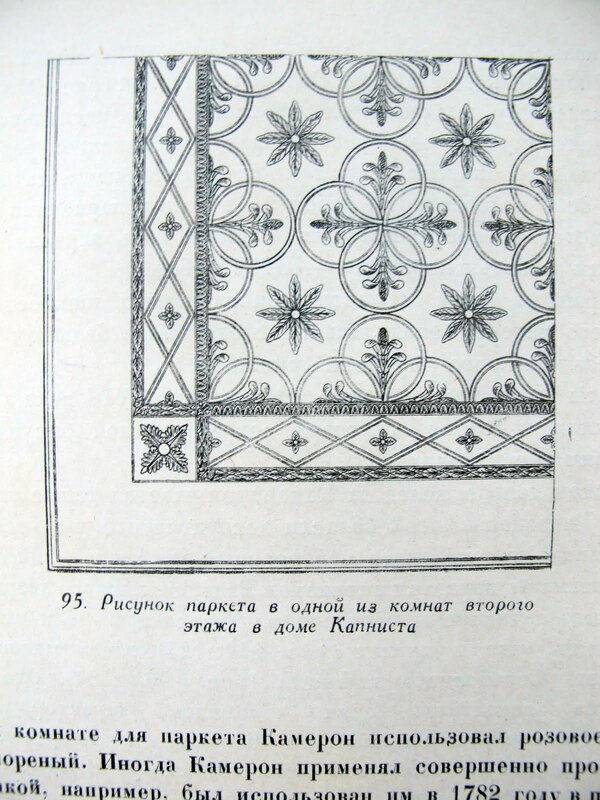 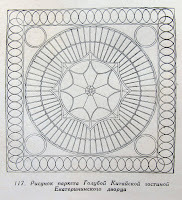 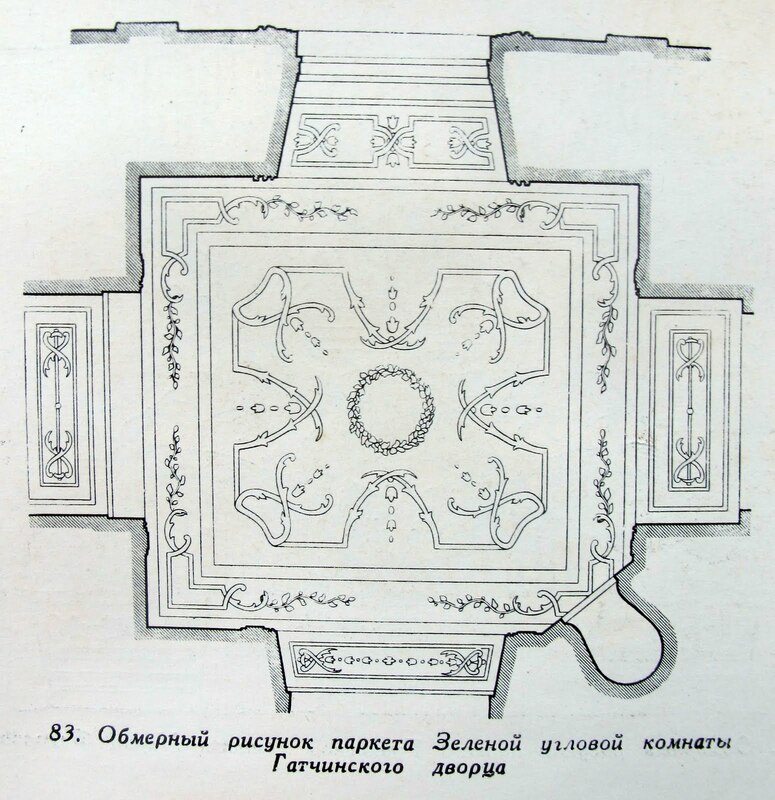 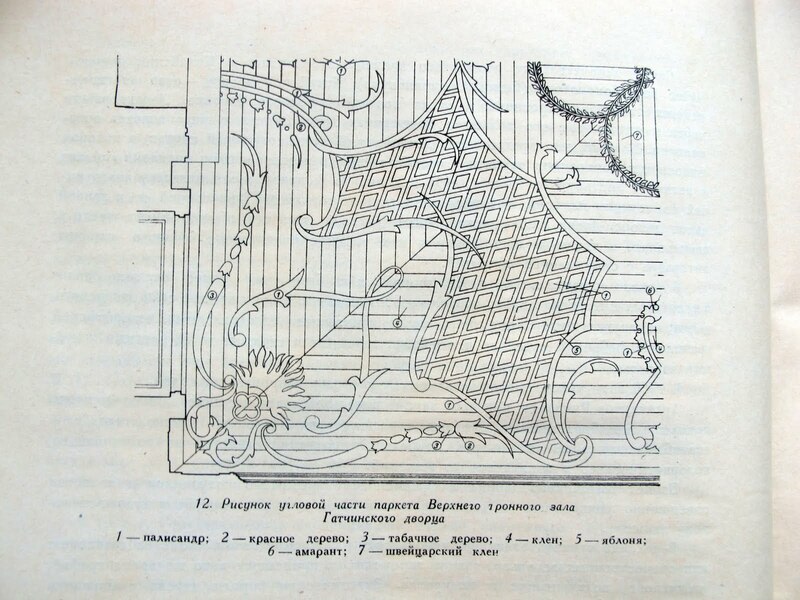 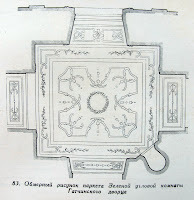 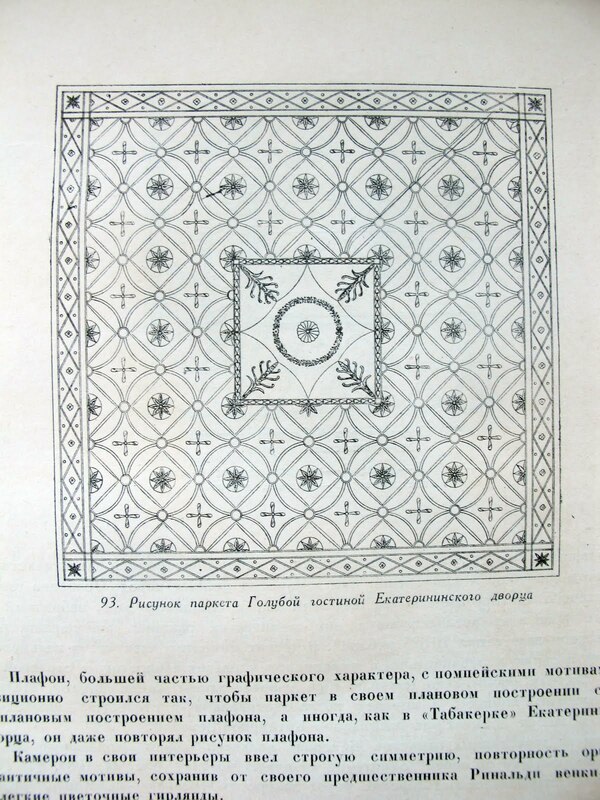 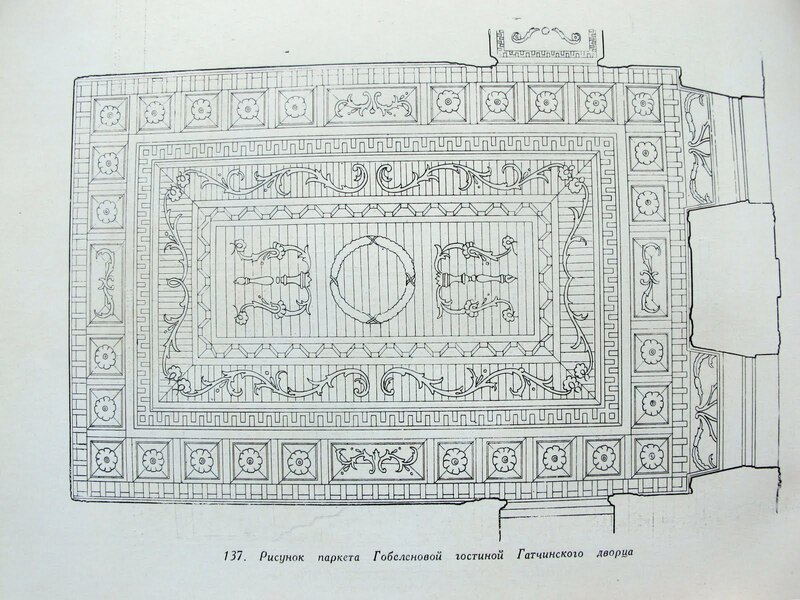 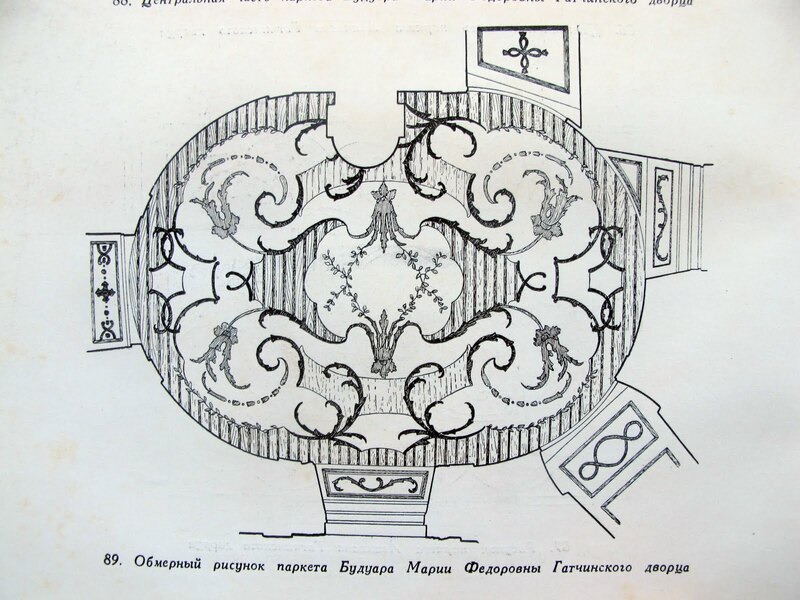 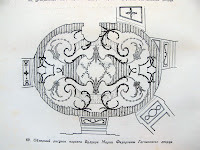 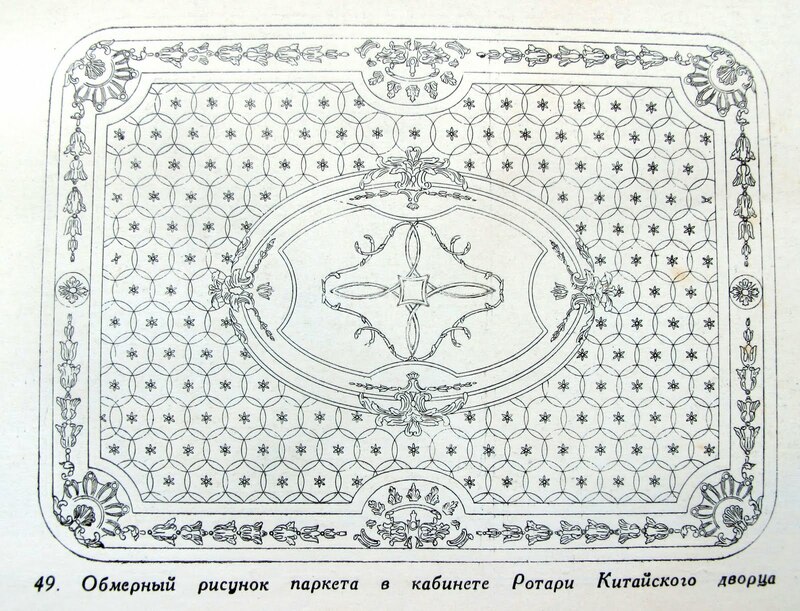 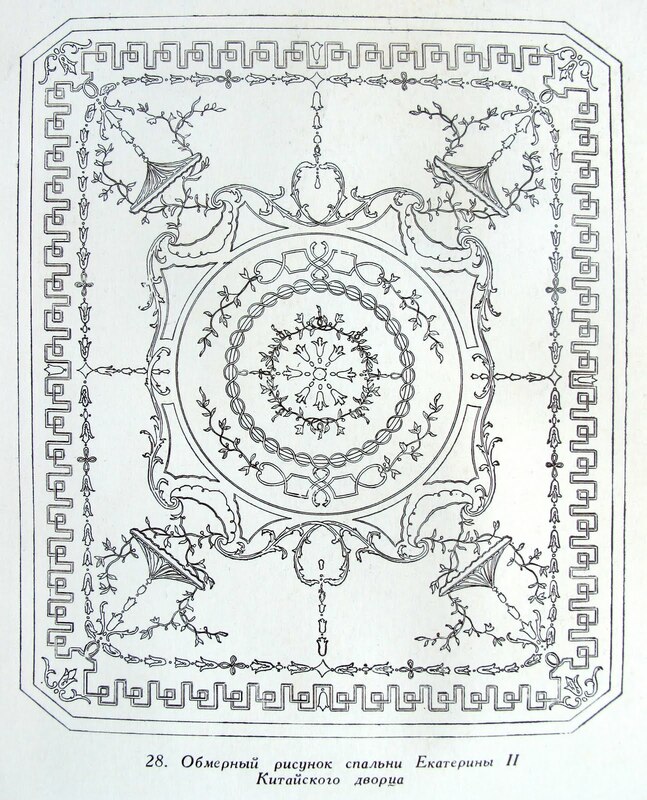 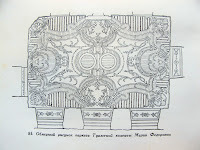 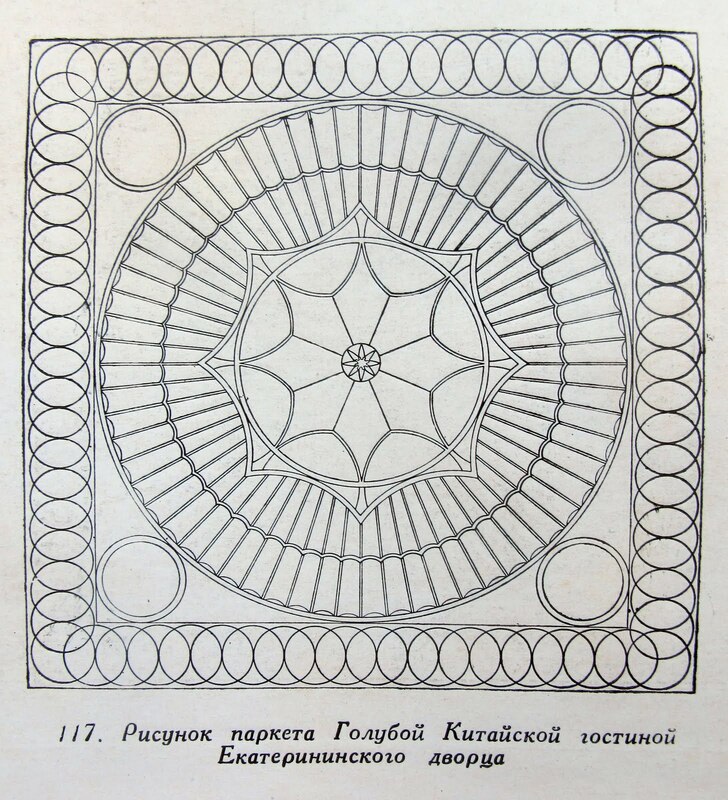 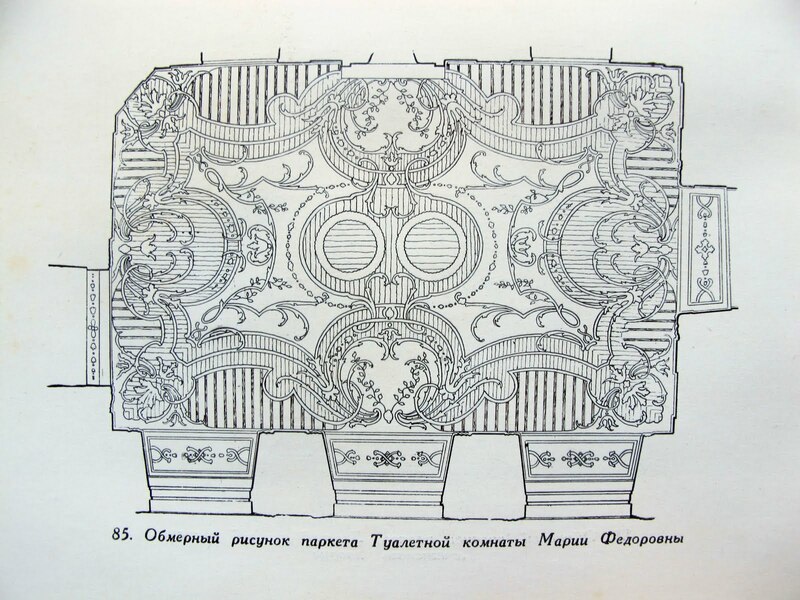 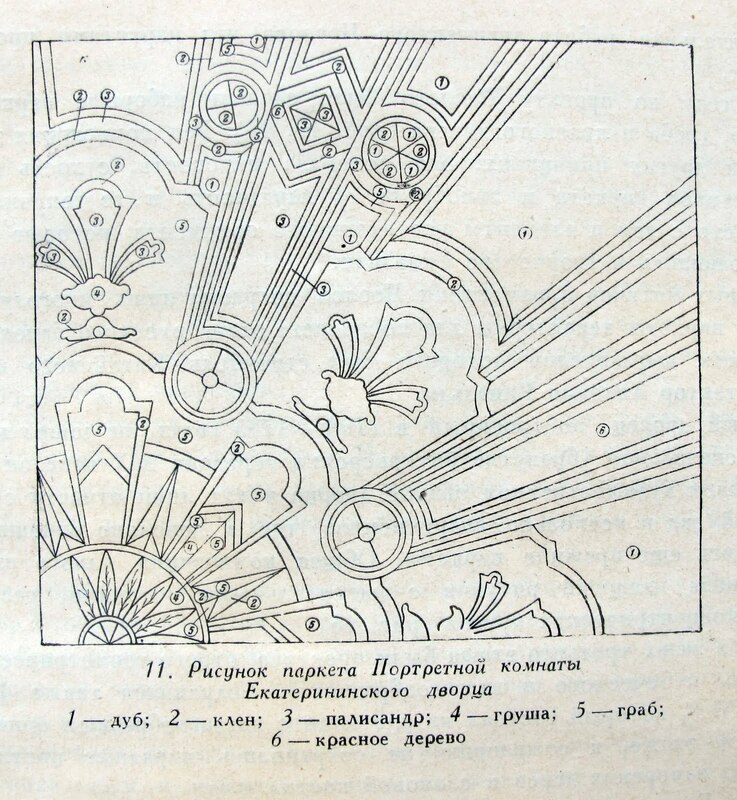 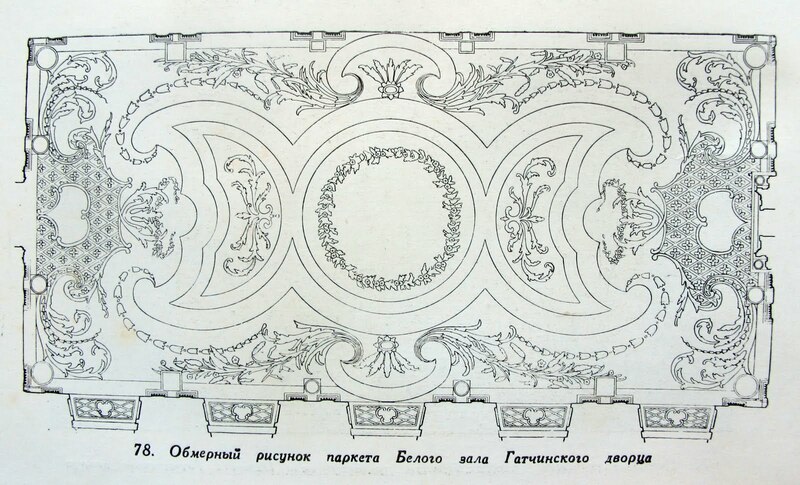 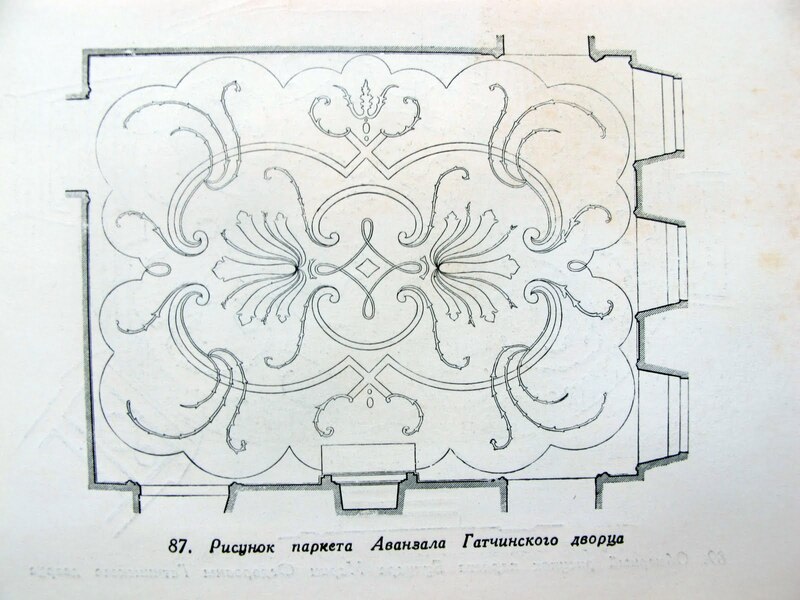 Never mind; the illustrations and copious photographs of Russian Palace floors more than make up for the information I'm losing through being unable to read the text. 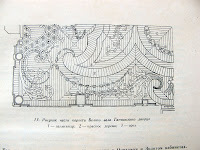 Presented below are some of the beautiful schematics from this volume. 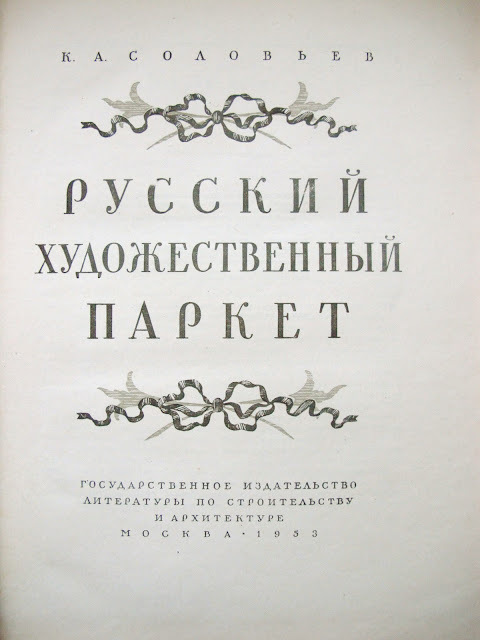 I'd give you a link to the book, but there's no ISBN, and the title is in Russian, so you'll just have to hunt it down the same way I did. 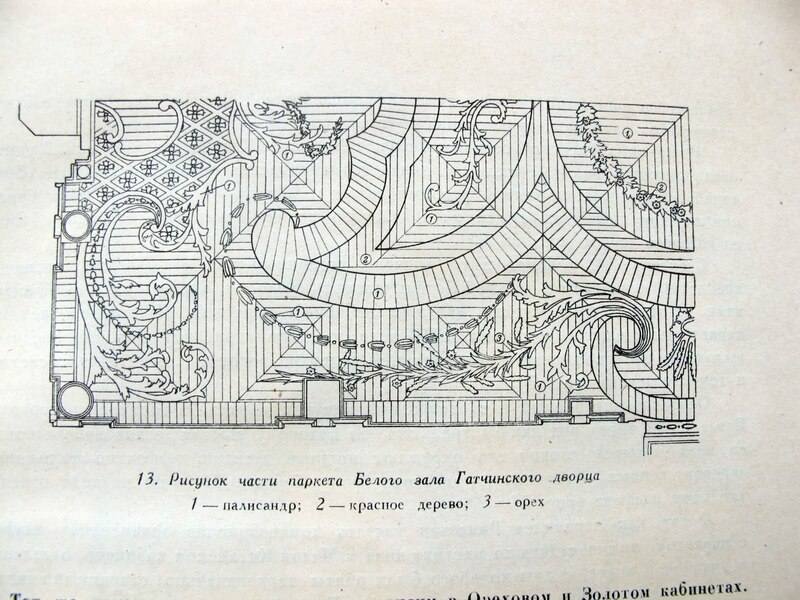 I've been interested in parquetry and marquetry for some time now. 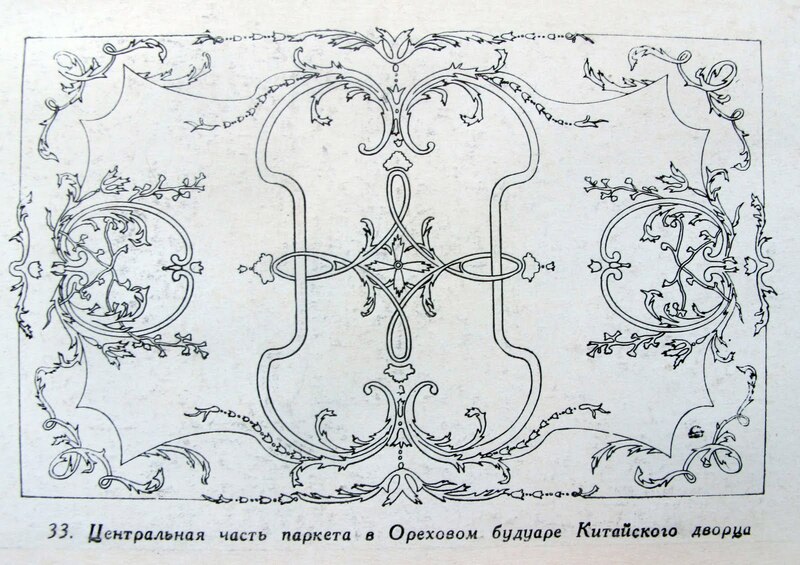 Along with my partner Mark, I started a company developing digitally printed versions of some of these Russian designs, among others. 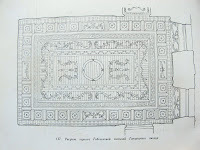 Check out the website here for more images. 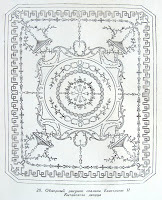 My aim is always to provide work that will be of some real value to the decorative artist on this blog. 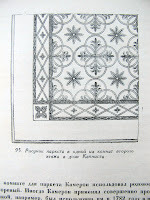 I guess I should have scanned these images instead of photographing them in that case. 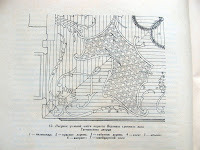 Oh well, don't want to make it too easy for anyone, do I? 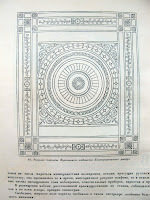 very very valueable! 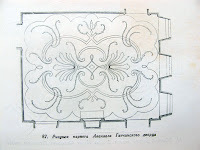 thanks Alan!